Located on the Mediterranean coast, Marseille (sometimes spelled "Marseilles" in English) is France's largest commercial port, second most populous city (after Paris), and center of the country's third most populous metropolitan area (after Paris and Lyon). The city has an estimated population of 820,900 (as of 2005), and the metropolitan area had an estimated population of 1,605,000 (as of 2007). Marseille (sometimes spelled "Marseilles" in English) is a city on Mediterranean coast of France. Marseille is the second most populous city of France (after Paris), and center of the country's third most populous metropolitan area (after Paris and Lyon). 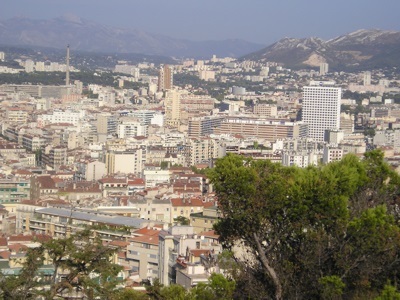 Marseille has an estimated population of 820,900 (as of 2005), and the metropolitan area had an estimated population of 1,605,000 (as of 2007). Marseille is France's largest commercial port. Marseille may possibly be the oldest city in France. It is believed to have been founded either by the Phoenicians, or possibly by the Greeks at around 600 BCE. In ancient times, Marseille was known as Masalia, Massalia or Massilia (Greek: Μασσαλια). People from Marseille are called Marseillais in French, or Marselhés in Occitan. Bouillabaisse - A stew/broth made from at least three varieties of fish (in the traditional version, the broth is served separately from the fish). Fougasse - A type of flatbread, traditionally baked in a wood-fired oven. It is sometimes filled with anchovies, cheese, or olives. Navette de Marseille - A type of biscuit flavored with orange blossom and made in the shape of a boat. Panisse - A type of pastry made using chickpea flour. Pastis - An alcoholic beverage made using aniseed and spices. The most commonly used type of tarot card deck is known as "Tarot de Marseille". Marseille was designated European Capital of Culture for 2013. 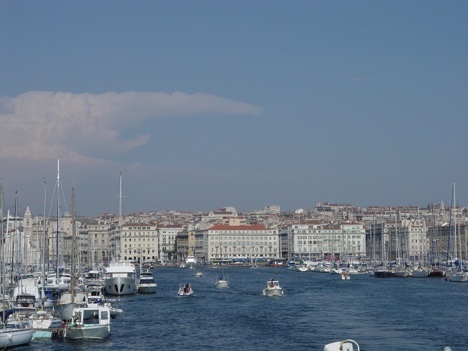 Marseille has a Mediterranean climate with mild and humid Winters, and relatively hot and dry Summers.